Romance in the Court, hosted by David Headley, managing director of Goldsborough Books and literary agent is a fabulous event and one of the highlights of my summer. On Thursday, I travelled down to London with fellow New Romantic Press author, Adrienne Vaughan to join writers, agents, bloggers and publishing representatives at Cecil Court WC2. Adrienne had to buy ‘emergency shoes’ from Dune in St Pancras en route (as one does) and I waited patiently, knowing resistance was futile. A taxi ride through London always sets us up for these events and we really felt the buzz on this warm, summer evening. First stop was Cote Brasserie across the road from Cecil Court to refuel. As we sat sipping our wine, Sir Roy Strong walked past looking very dapper, which was apt considering it is Chelsea Flower Show week. Last time Ade and I had a similar outing we bumped into Dustin Hoffman. Well, I bumped into him, Ade was too busy looking at shoes in Tod’s window on Kensington High Street. Shoes, again? Honestly! David’s hospitality is legendary and his young staff so friendly and accommodating (thank you Emily et al) that in no time we had picked up our author badges, a glass of ice cold prosecco and started mingling. As you can see from this photo, the court was soon buzzing as we met up with fellow RNA members and others from the publishing industry. I was able to hand out promotional postcards announcing the publication of my latest book: GIRL IN THE CASTLE, which I am very thrilled about. The interior of Goldsborough Books is fascinating, with many signed first editions behind glass-fronted bookcases.There are also many contemporary novels on sale, and I spotted many favourite authors on the shelves. There is a sign on the stairs suggesting that it leads to Hogwarts, but I was having too much fun to follow it. Lizzie and Adrienne at Romance in the Court – May 2017 – ‘girls just wanna have fun’. Sadly, we had to leave to catch a taxi back to St Pancras for the ten o’clock to Leicester. We are very much looking forward to the RNA Summer Conference when we will meet up with our writer friends once more. Here’s my blog post about last year’a Romance in the Court if you would like to read it. Footnote: many friends at the event wanted to know more about our caravan trip to Cornwall (where I did a fair impersonation of a drowned rat), and to hear more of the antics of our parrot, Jasper, who travels with us. Here he is, and here am I with writer Rosemary Smith, who I met up with in St Mawes, presenting her with a signed paperback of Girl in the Castle. So – here’s to Romance in the Court 2018 when I hope the weather gods smile on us. Thank you for reading this blog post – if you feel like sharing with others, the buttons can be found below. If you’ve followed over from my newsletter – here’s the opening chapter. There it was, again—a lament; the kind played from the parapet of a castle high above a loch, the piper hidden by swirling autumn mist and fading light. Unable to ignore it any longer, Henriette Bruar ended the podcast—Five Historic Hauntings for Hallowe’en—and, ears straining, glanced half-fearfully over her shoulder in case some madman had got on at the last station, hell bent on making it plain that here was no place for Sassenachs. No place for lone, female travellers either, come to that. However, the train was empty, as it had been for the past half an hour. For who, in their right mind, would take the last train out of Fort William on a wet autumn afternoon and travel up the line to MacKenzie’s Halt? Only her, of course. Henriette Bruar, lately studying history at Saint Guthlac University, Hexham, in the north of England, until—well, until she’d screwed things up so badly that she’d been forced to come high-tailing it up to this remote corner of Scotland until the heat died down. ‘Stop imagining things!’ she admonished herself, her voice unnaturally loud in the empty carriage. That had the desired effect of banishing the piper and restoring her grip on reality. Her iPhone, she reasoned, must have picked up a transmission from a nearby radio station—Highland FM, or similar. That, coupled with the spooky podcast, was enough to make her imagine things. However, just in case, she cast another look around the carriage. As she did so, the feeling of presentiment which had dogged her since setting foot on Scottish soil returned, accompanied this time by pins and needles and the shivery, shaky feeling which usually heralds a virus. Physical sensations which no amount of foot-stamping, arm swinging or cups of lukewarm coffee could banish. After further foot stamping and curling and uncurling her toes, she sat down, unfolded her itinerary and read it through for the hundredth time. The train would stop at MacKenzie’s Halt, where she was to get off. The train terminated further up the line but few, if any passengers, went beyond MacKenzie’s Halt. Upon leaving the train, she should cross over the footbridge and make her way to the edge of the loch where she would be taken across to Castle Tèarmannair. taken across . . .
Forgetting her earlier resolution to stop daydreaming, fancy took flight once more. 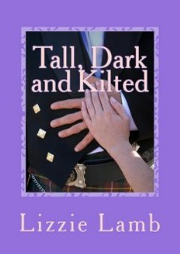 She saw herself as a Jacobite heroine, plaid wrapped tightly around her to ward off the wind, a white cockade pinned to her hair, being taken across the loch by clansmen loyal to the exiled Stuarts. In her imagination, she saw a castle in the middle of the loch where her lover was waiting, piper by his side, to welcome her home. Then she shook her head and dismissed the image. ‘Castle Tèarmannair.’ She experimented with the unfamiliar Gaelic. ‘Meaning Guardian, or Protector,’ she read from her guide book. ‘A gift from the Lord of the Isles to MacKenzie of MacKenzie for fighting alongside him at the Battle of Largs in 1263.’ Releasing a pent up breath, she put the itinerary in her bag and, getting to her feet, walked the length of the carriage, holding on to the back of the empty seats for balance, and peered through the windows into the late afternoon gloom. A thick autumn mist had followed the train out of An Gearasdan—Fort William, obscuring the stunning view promised by the guide books and, in a cinematic moment, the train appeared to ‘float’ above the rails. Nothing was visible on either side—not even the lights from the small settlements flanking the loch. Henri wondered, a little self-pityingly, if the mist was a metaphor for the current state of her life, which was mired in gloom and despondency. She was halfway back to her seat when a lilting Highland voice announced: ‘We are approaching MacKenzie’s Halt. Please remember to take your belongings with you when you alight from the train.’ With no more time for introspection, she swung her tote bag over her shoulder, and collected coat, rucksack and suitcase out of the luggage rack as the train came, briefly, to a halt by the short platform. July saw us taking a month long research trip to Scotland. We started at Edinburgh, visited Rosslyn Chapel and Britannia . We called in at Whitburn to visit my family and discovered that Uncle Archie is a great fan of caravaning, too – I guess the apple didn’t fall far from the tree. Here he is with Auntie Nellie; they are my dad’s last remaining siblings. When I was talking to them, I lapsed into an East Lothian patois I hadn’t spoken in many a year. Good to know I haven’t lost it, ye ken? In August we visited Bletchley Park and found a connection there to WHITBURN, Winkie the carrier pigeon who saved the lives of a WWII Bomber crew. They even had Winkie’s ‘parachute on display.Here’s Dave sitting at Alan Turing’s desk . . . While we were at Edinburgh we visited Doune Castle where many scenes from OUTLANDER (Castle Leoch), and MONTY PYTHON AND THE HOLY GRAIL were filmed. I drew inspiration for the Samhain feast in GIRL IN THE CASTLE here. You can’t visit Inverness without going Nessie hunting, so we called in at Urquhart Castle, but Nessie was taking a coffee break. You can see why, inspired by the mist, romantic landscape and mysterious wakes on the loch, how the legend of the monster first arose. We moved on to Ullapool and, although it rained (a lot! ), at least we weren’t bothered by midges. It has long been an ambition of mine to visit the Craft Village at Balnakeil , and we did just that – calling in at the fabulous Cocoa Mountain Cafe for the BEST hot chocolate EVER. If you visit nearby Durness, you’ll see the John Lennon memorial garden; John, Yoko and the kids used to holiday there in the late sixties. The road from Ullapool to Durness was stunning as we passed through North-West Highlands Geo-Park on a twisting one track road with passing places. Castles, white sand beaches, mountains, mist and small lochs (lochans) covered in water lilies. Can’t wait to return. During that month New Romantics Press published a tapas selection of our novels for reading on Kindle. At the end of each extract a link takes the reader direct to Amazon to download the novel and ‘read on’. Take a Chance on Us. Once I returned home, it was straight to East Midlands Airport to pick up Isabella Tartaruga. Isabella and I met through Facebook and have become firm friends ever since. I named a character in Scotch on the Rocks after her. We took Isa to our local pub for a cider and I organised a tea party in her honour – with a little help from my friends. Talking of friends . . . In August we travelled to Brighton and had a super lunch with writer June Tate, and exchanged books. Later in the autumn, we met up with lovely Carole Matthews; I received her latest book later on in the year and am looking forward to reading and reviewing both. I learn so much talking to such brilliant writers – I hope some of the fairy dust rubbed off. To ring the changes, New Romantics Press attended the Historical Novel Society‘s annual conference. I like to include lots of history in my contemporary novels – if that makes sense. One sad footnote: the conference was the last time I spoke to agent Carole Blake, who died unexpectedly in October. A great loss to readers and writers alike. October saw me giving a four hour talk How to Self Publish your novel, at Stamford Arts. Thanks to Rachel Henry of WriteStars for inviting me. Dave was my wing man and worked the pc while I blathered on. The highlight of November has to be the author event which Adrienne Vaughan and I presented at Aspinall, St Pancras, London. We sold books, talked to customers about writing – and met Tom Parker Bowles (name dropper!) in Fortnum’s, across the way! We’re hoping to be invited back again this spring to give author readings and to talk about the art of writing – watch this space. It was a great November for Adrienne as she launched Fur Coat and No Knickers, a collection of short stories and poems. December went by in a whirl, the highlight was meeting Book Blogger, Rosie Amber and her team of reviewers and writers at the Belmont Hotel with the Leicester Chapter. 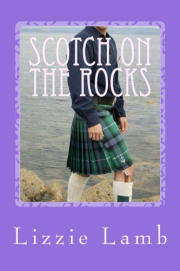 Thanks to Rosie, Scotch on the Rocks was read by her review team and short listed for the contemporary fiction award (silver). It was also one of Book Blogger Cathy Ryan‘s TOP READS OF 2016. And finally . . . deep breath. I finished my latest novel – GIRL IN THE CASTLE and it is currently with beta readers. I have booked my proofreader and formatter and, with good luck and a following wind, it should be ready for pre-order by the end of March. 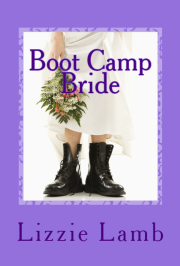 Cover reveal and blurb, coming soon. January kicked off with a BANG. New Romantics Press put on their best bibs and tuckers and headed to Lunnon Tah-an for Jill Mansell’s Book launch. There we bumped into many fellow RNA members who’d wandered over from another book launch to join us. A great time was had by all and we went away inspired to finish our WIP in 2016. Read on to see if we achieved our goal . . . In February, our baby boy Jasper was 20 and he received lots of cards. One from a Facebook friend and reader Lotte Sutton in Australia, which was such a kind thought. I just hope he appreciated it. He’s 21 on February 2nd 2017 – I predict that there might be a little celebration on that day involving the Bridget Jones DVD, cocktails, canapes, cake and coffee. All the things he likes (cough, cough). Adrienne and I have both had parents who’ve died from cancer, so we decided to raise some money for HOPE AGAINST CANCER, in their memories. In February we organised a literary lunch at swish Kilworth House Hotel, gave a hilarious (if I say so myself) talk about writing romance – and raised over £500 for the charity. I also gave a talk on self-publishing to the Birmingham Chapter of the RNA, and to students at De Montfort University during February. March was a busy month, too. Apart from it being my birthday, I made the final of the Exeter Novel Prize with Scotch on the Rocks so we took the caravan down to Exeter and fitted in a spring-break holiday after the ceremony. I took good care of my precious trophy, but a certain person thought the award belonged to him! April was rather more family orientated as it was my father-in-law Geoffrey’s 90th birthday which we celebrated in style. A moment to cherish. A friend of long-standing, Maggie, who regularly buys several paperback copies of my novels and POSTS them to Australia (at great expense) joined us for the celebrations. I got stuck in with the WIP and vowed to finish it before Christmas. May was a busy month with the fabulous Romance in the Court which Adrienne and I attended. Passing through St Pancras I bought something in Aspinall’s and, after talking to the manager, we were invited back to hold an author event there in November.More of which in part #2. I’m looking forward to attending the same event in May of 2017, thanks to Goldsboro Books and David Hedley. Next, I gave a talk in Chippenham, to aspiring authors to prove to them that self publishing was within their grasp and took along novels which New Romantics Press have published to make my point. Where there’s a will, there’s a way. What we didn’t plan on last year, was trading in our caravan for a slightly bigger one with a FIXED BED. But that’s what we did, two days before we set off on our month’s stay in Bonnie Scotland . . . No more setting up/dismantling the bed every morning so we can have breakfast. I’ve also gained more writing space, so #winwin. Just writing about it makes me long to go on the road again. I hope you’ve enjoyed reading about the first half of 2106.